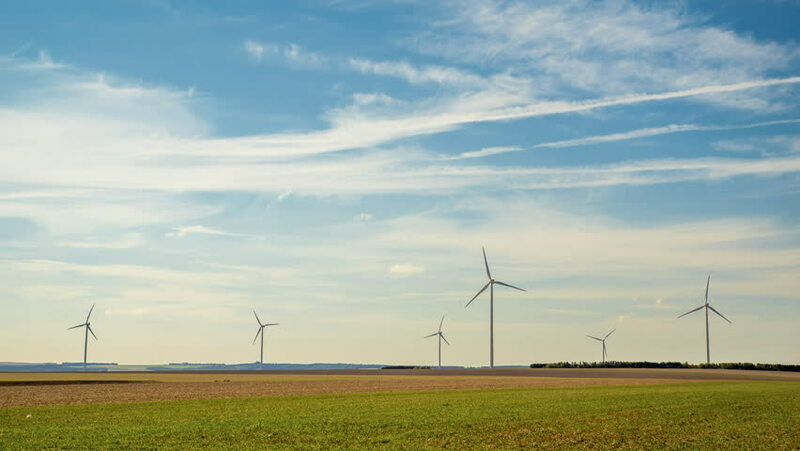 Wind Turbines Landscape 4, Time Lapse: Time Lapse of a Wind Farm in France. 20 minutes timelapse. Taken in the region of Aube, France. sd00:15Wind turbines spin on a vast field beneath a cloudy sky at dusk. 4k00:22Windturbines in an October fall storm at the IJsselmeer in The Netherlands. 4k00:18Windturbines in an October fall storm at the IJsselmeer in The Netherlands. Fast forward clip.